Newfoundland is a spectacular 60-storey residential skyscraper housing 636 decadent apartments at the western end of the Canary Wharf Estate. The site is bounded by Westferry Road to the west, Middle Dock to the east and Bank Street to the south. The Jubilee Line runs directly beneath the site. The slim diamond shape of the tower is determined by the narrow footprint of the site and diagonal alignment of adjacent streets. This optimises pedestrian movement, maintains views and presents a clear and striking new landmark form for Canary Wharf. The ‘diamond’ shape has sloped, sculpted sides and an external frame will give residents more space while also offering privacy on the balconies, shielding each one from being overlooked by their neighbours. Sharpfibre were asked to provide several services to Newfoundland. 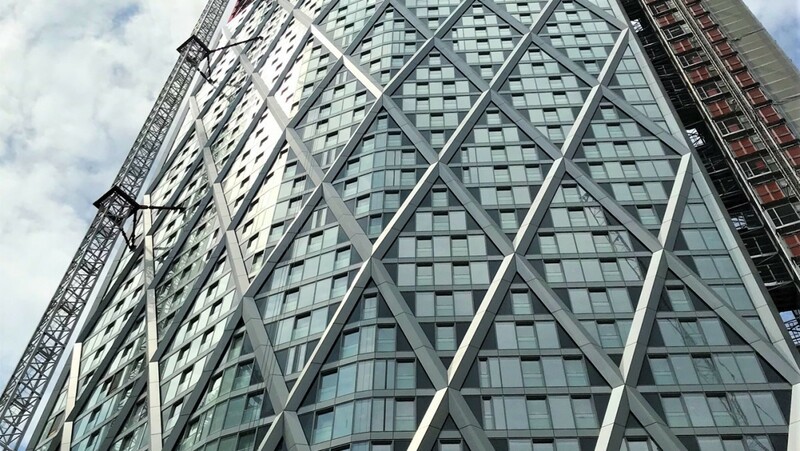 Sharpfibre has provided fire stopping to the 636 apartments and common areas installing Firetherm Intubatt and Intucompound, as well as providing fire protection to the structural steels using Knauf Fire-tek 160. 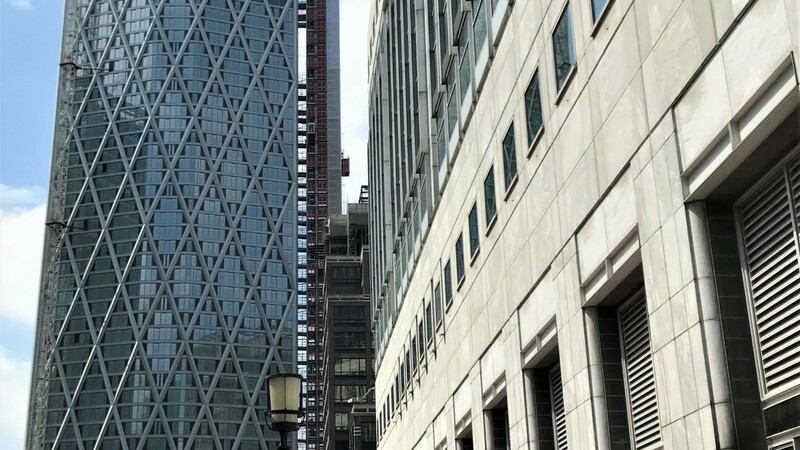 The structural steels, once protected, were exposed to the elements until the cladding could be installed, which could have caused an issue due to declension. 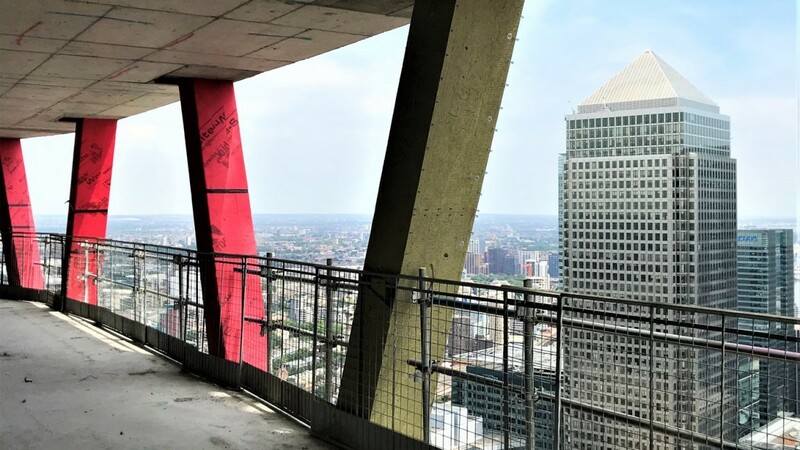 The Sharpfibre innovative solution was to cover the protected steels with Wraptite which is usually an air barrier providing airtightness to buildings, but was utilised to provide protection from the London weather to the Fire-Tek and the steels. Contact Sharpfibre for innovative solutions to your projects and for your firestopping, fire proofing and Durasteel requirements. Boarded Fire Protection Sysyems offer a non-combustable solution designed to provide fire protection to structural steelwork. Up to 240 minutes fire resistance is achievable depending on on the thickness of material used and the dimension of the members being protected. Fire Barriers are slabs of high density rock wool with a white endothermic, ablative coating, which are designed to stop the spread of fire in fire resistant walls and floors. Fire barriers provide an enhanced acoustical performance and up to 240 minutes fire protection. The slim diamond shape of the tower is determined by the narrow footprint of the site and diagonal alignment of adjacent streets. Newfoundland will become not only a visual landmark for Canary Wharf but also for the capital. 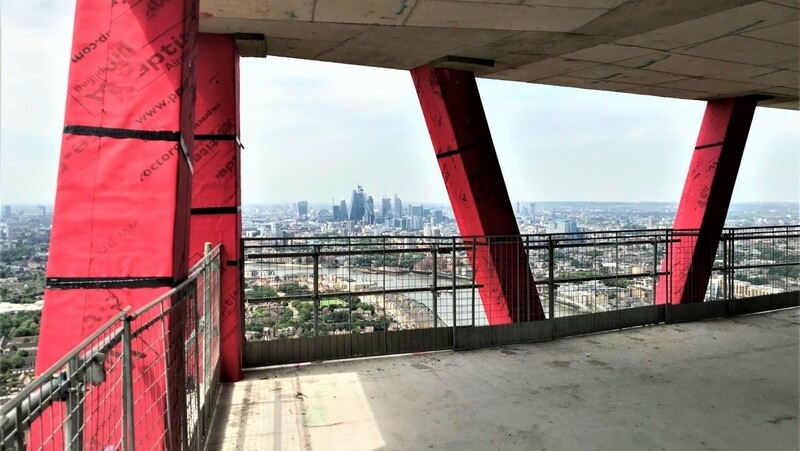 The tower will offer some of the best views in London and residents will be able to enjoy panoramic scenes of the capital from their floor-to-ceiling windows, a stunning backdrop to everyday life.